The Northwest Arkansas Regional Bicycle and Pedestrian Master Plan provides a blueprint to make walking and bicycling a common, enjoyable, and viable transportation and recreation choice in 32 communities in Benton and Washington Counties. 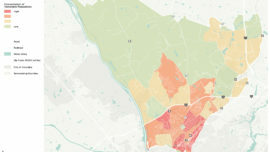 Alta Planning + Design led a comprehensive regional planning process involving extensive public involvement and community participation, including the development of 25 Individual Community Action Plans for communities with a population of over 1,000. Detailed action plans were provided for each community, along with a series of 20 regional catalyst projects and 7 context-based planning scenarios. Ultimately, the success of this Plan will be measured by the local governments endorsing it and adopting their Action Plans for each community. The regional recommendations of the plan provide both a long-term vision and short-term steps that move communities quickly towards projects on the ground and Walk/Bike Friendly Community (BFC/WFC) designations. 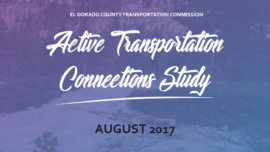 The network includes on-road and off-road facilities such as shared use paved trails, separated bikeways, sidewalks, and shared roadways connecting regional destinations and communities. 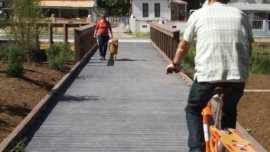 Short-term recommendations address bicycle and pedestrian safety issues, provide bicycle and pedestrian connectivity to important destinations, connect to the Razorback Regional Greenway spine, and include programmatic recommendations covering all Five E’s: Engineering, Education, Encouragement, Enforcement, and Evaluation. Engineering and programmatic short-term recommendations will meet BFC and WFC requirements enabling communities to earn Bronze BFC and WFC designations quickly. The mid-term and long-term actions recommended in the plan will be geared towards communities earning higher designations such as Silver, Gold, and Platinum over the coming decade. The plan is also built around the integration of a “6th E” for Equity, ensuring that a balanced approach is provided for people of all ages, abilities and backgrounds. 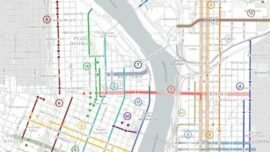 The plan provides an inventory of bicycle and pedestrian design treatments and provides guidelines for their development. These treatments and design guidelines are important because they represent the tools for creating a safe, accessible community.